Anyone can go trick or treating as a ghost. With a little imagination, you can turn your outfit into an instantly recognizable revenant of the 20th century's most iconic disaster. For a century, the sinking of the Titanic has captured our collective imagination. Even those who don't realize it was an historical event have seen the movie. Part of the appeal was in the elegant fashions of the day. The Edwardian era, or Gilded Age, not only looked good, but suggests spookiness from our modern vantage point. Which is probably why so many search for the ghosts of the Titanic. There is no complete, over-the-counter costume for your Halloween event. But plenty are constructing their own. So You Want to Go as a Ghost of Titanic? Apparently this was quite a popular look for Halloween 2012 - the centenary year of the ship's tragic sinking - and its remained so ever since. I'll admit that costumes based on Titanic's ghosts never occurred to me at all. I was too caught up in the actual history to consider the possibilities there. Plus it takes a certain kind of dark humor and/or a requisite amount of distance to clad yourself in costumes based on a real life disaster. Over a century down the line, the survivors and their close family are all safely passed away. Though adult children of child survivors, and grandchildren too, are all still out there. So be careful with your Halloween guest-list. My lack of imagination on the subject of Titanic ghost outfits was more than covered by those searching for the same, and winding up at my article on Halloween ghost costumes for adults. 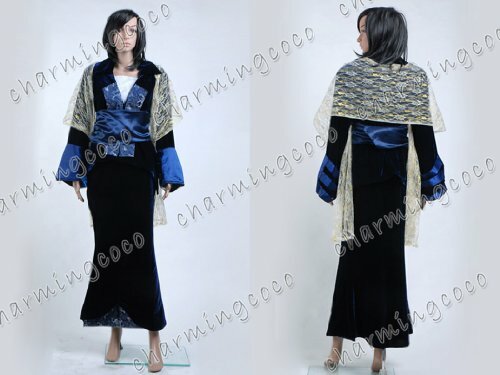 In it I mentioned that one outfit in particular made the model look like she'd just stepped off Titanic. That was enough for the search engines to direct interested parties towards it. I felt guilty that they hadn't found quite what they were looking for. Let me rectify that now! 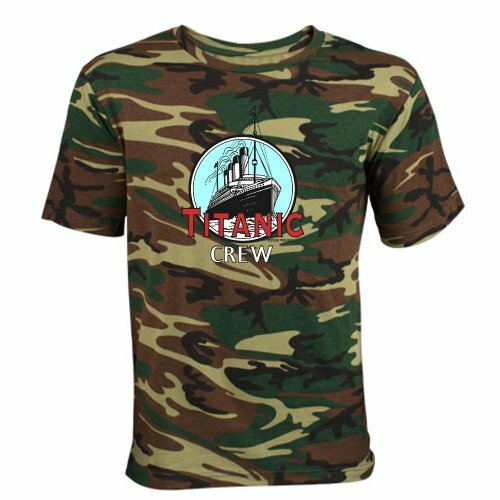 I've done my best to uncover all that you might need to create a Titanic related costume for your Halloween event. Now all that remains is for you to choose your style and put it all together. Incidentally, the film advertizement is a spoof. But the trailer was very well put together! You can see it on YouTube here. The ship sank en route to New York City in 1912. This fact was notably used in the movie, when ghosts are overtaking the whole city. 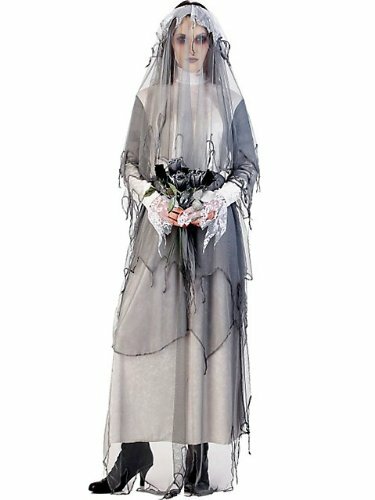 The Ghost Bride outfit is the one which I previously identified as looking like a Titanic apparition. But she's not alone in that. The Titanic famously had people of all classes and ages on it. There were the rich and fashionable, clad in the latest styles; but there were also the rich and unfashionable - the older people, who were more comfortable in the dress of their Victorian youth. Moreover, there were the poor, who couldn't afford anything like the latest styles. Plus the middle classes in between. 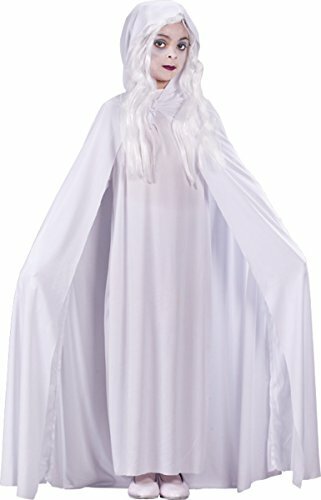 In short, you could get away with buying any ghost costume which looks Edwardian or Victorian. All you needed to do then was turn it into a Titanic specific specter. 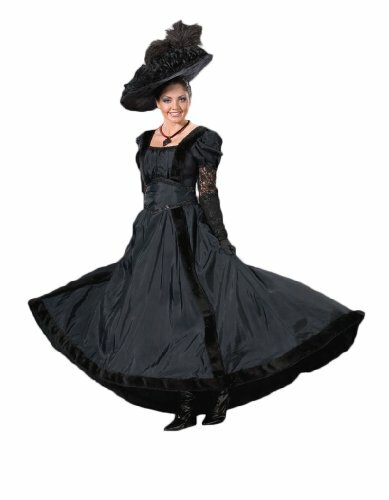 For those not too worried about your Titanic costume being white (thus traditionally more ghostly), then a whole range of new possibilities open up. You could always wear these with ghost white make-up and a few dark rings under your eyes. Or, if you're anything like me, not wear make-up at all for much the same effect. Then you'd be a specter returned from the deep, or a mourner who never recovered from their shock, even when their own demise meant that their loved one could hopefully be located on the other side. Not all hauntings involve spirits either. Some are the memories of the place itself, feelings etched into the landscape by the tensity of the emotions wrought by the moment. Those scenes replayed over and over again for those with the sensitivity to see. 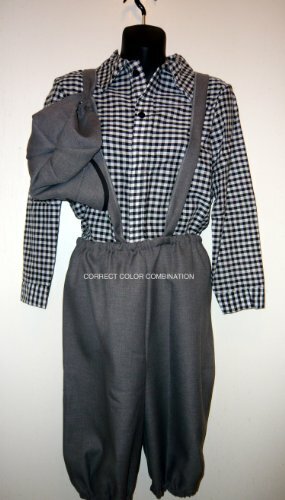 The Titanic newsboy costume would work well for that. Though you would have to persuade your little boy to keep re-enacting the sale of newspaper bearing the bad news. He might not be too amenable towards doing that all evening long. 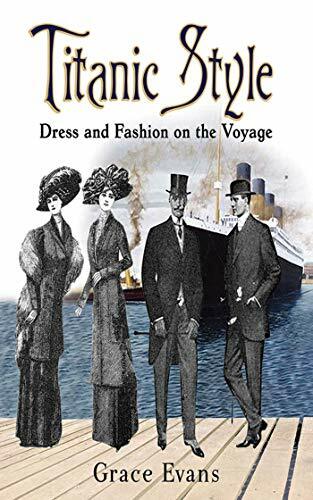 And said possibilities include some beautifully reproduced Titanic outfits, that will be instantly recognizable by all who've seen James Cameron's movie. 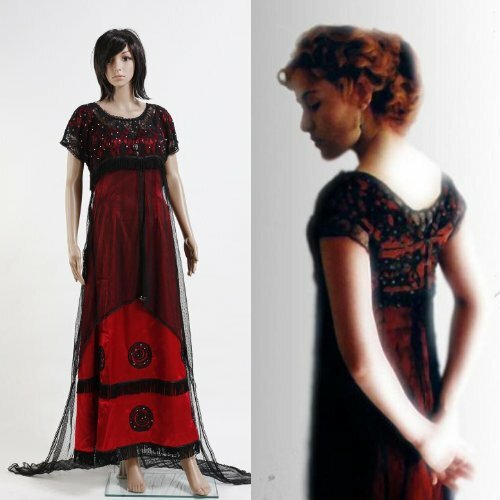 There are three replicas of Rose's costumes in Titanic, which would fit the bill very nicely. But also require payment of a rather steep bill, before you can secure them for your wardrobe. 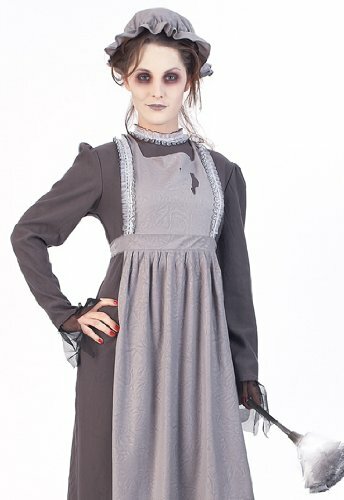 That said, the price reflects the attention to detail in these hand-stitched Titanic Rose cosplay dresses. You're not precisely buying off the peg here! 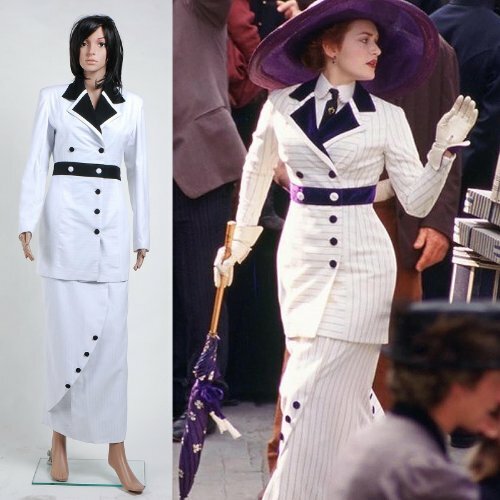 However, it does occur to me that we've veered a little too far into the Titanic era costumes remit, and ended up quite far from the ghost aspect of it all. It might take a little creative thinking to explain why, say, Rose's Boarding Dress costume relates to a Halloween ghost, when there's no Earthly reason in the storyline why it should. Her departure dress maybe, but she did manage to survive the first day of sailing. What do you think? Back to the drawing board? There are some hauntingly good looks for your festive party this year. Grab yourself a spooky ghost outfit for Halloween; and practice those spine-chilling wails. The enduring fascination that we hold for the disaster means that there is no end of memorabilia about it. You could take advantage of these trinkets and items. 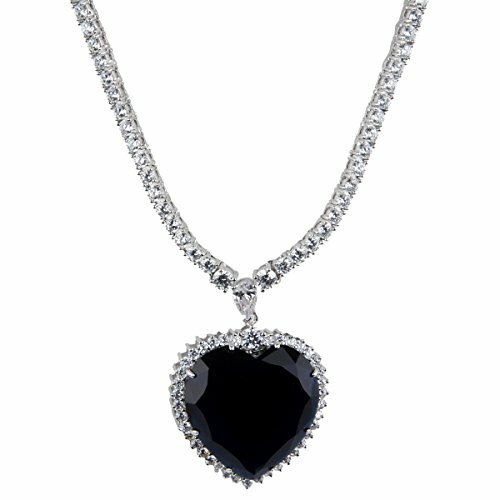 Wearing Rose's famous Heart of the Ocean necklace, from the 1997 blockbuster Titanic, would certainly give the hint. 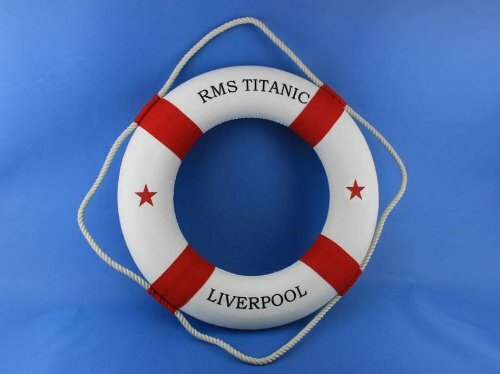 Clutching a life-ring bearing the ship's name would make it blatant. Of course, there's nothing stopping you improvising with what you have around the house too. Painting a suitcase white and adding a luggage tag for RMS Titanic could be one idea. Or you could print off and prominently carry a boarding pass for the ill-fated ship. How about dispensing with props completely and entering into a little role-playing instead? Tell people that you've just arrived from the RMS Titanic; and could anyone tell you where everyone else has gone? Most people would know what you were, if you simply called out, at regular intervals, "Jack! Jack! Where are you Jack?" That one is only for the more extrovert amongst you obviously. The rest of you could make do with simply telling everyone that you're a Titanic ghost. Buy these props to transform your Gilded Age ghost into a true apparition from RMS Titanic. 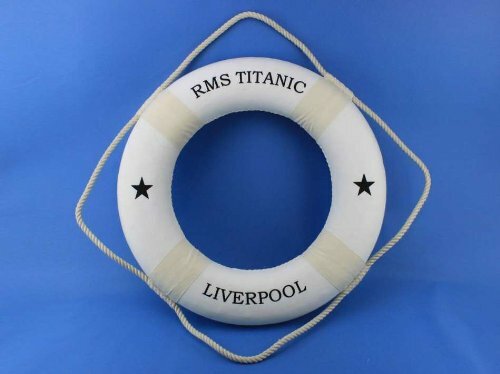 Above there are some accessories which you could employ to create or complete a Titanic crew-member costume. The White Star Line t-shirt could be finished with flared navy pants and some ghostly make-up. 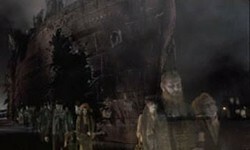 You would soon transform into the apparition of a crew member. 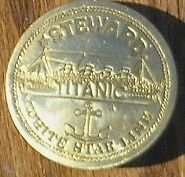 For that more subtle touch, there's a pewter Titanic button. Just stick it to your Edwardian era ghost costume and wait for people to make the connection. 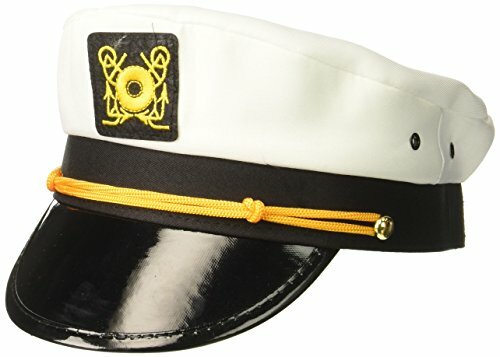 Or, if you fancy aiming for the highest rank aboard the stricken ship, there's a Captain's hat. I wish you better luck than Captain Edward Smith. Just because the major fancy dress companies haven't spotted the niche in the market, it doesn't mean that you can't fill it. Are you handy with a needle and thread or sewing machine? If so, then there is nothing stopping you creating a unique Titanic ghost outfit. There are plenty of patterns for the era. There were many different fashions on board. It's not like you have to confine yourself to one uniform style here, as you can be sure that someone amongst the passengers was wearing something similar. I would recommend using a white material - to give that ghostly aspect - and, if you are particularly talented, introducing water-stains. This apparition is supposed to look frozen to death and/or drowned. It's definitely supposed to appear wet. The only limit here is your own imagination and skill. Though I respect you for both. I couldn't sew this to save my own life! Buy these guides to cut and sew your own Titanic ghost Halloween outfit. These are all history articles about the actual Titanic disaster. They may assist you in a bit of background or context for your Halloween persona. Some people had a great shock, because they thought Titanic was just a film with Leonardo and Kate in it. Then realised it actually happened. What happened on the 100th anniversary? You obviously weren't on the internet on the day of the 100th anniversary. You would never have had to ask if you were. There are people who don't know it really happened?